On November 29 2018, Sheffield plays host to an annual awards event that recognises the region’s brightest, boldest and best businesses from the region. 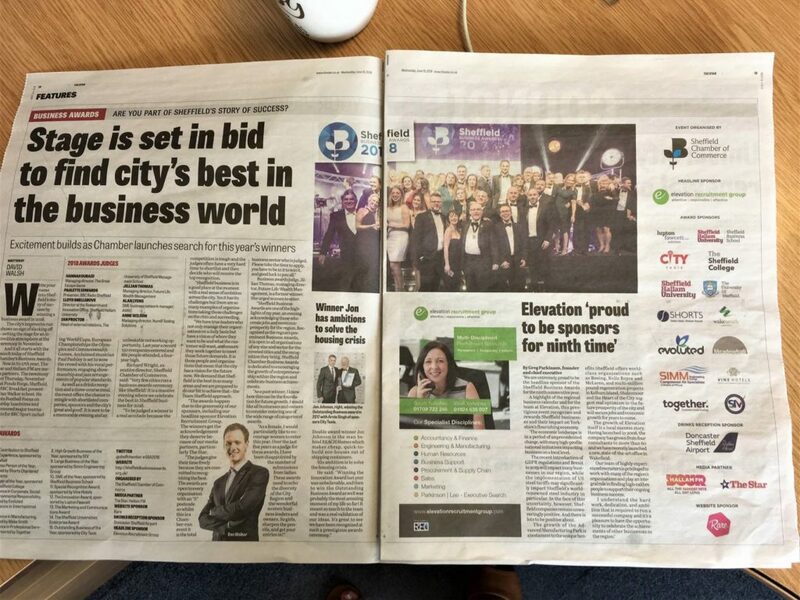 Vine Hotels is delighted to once again be sponsoring the Special Recognition Award at this special evening; the Sheffield Business Awards 2018. – our city centre Sheffield hotel, Best Western Cutlers Hotel. The Special Recognition Award is open to any business, individual, charity, scheme or project that has significantly contributed to the Sheffield economy. A company on behalf of a business, individual, charity, scheme or project or a business individual themself. -Made a significant impact in the region in terms of local economy/community/business. If you would like to get in touch please fill out the Contact Us form.